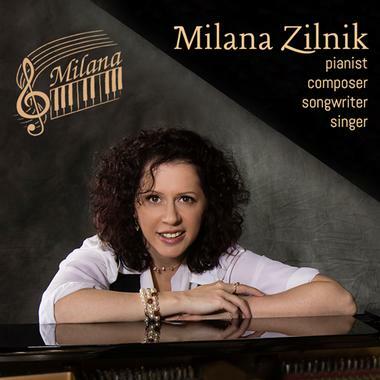 Milana Zilnik of Ontario, Canada, is an award-winning pianist, composer, and singer-songwriter who has been a performing and recording artist since her childhood. A strong lyricist and composer in her own right, Milana’s style is reminiscent of Tori Amos, Sarah McLachlan, Michael Nyman, Keith Jarret, and Chick Corea. Soulful singing and complex piano melodies are Milana’s signature, but she embraces a variety of styles – everything from Folk, Blues, Opera, and Middle Eastern to her soft spots for Rock and Jazz. Christmas soundtrack, telling a vivid musical story, full of excitement and wonder. Starts with a festive motif on a piano, expands to full orchestra with strings and brass, followed by a bit surreal middle part and dreamy finale. Works for commercials, cartoons, family movies, theater, winter scene, Instrumental, Christmas, Xmas Orch.